4 Bedroom Semi Detached House For Sale in London for Asking Price £895,000. A wonderfully spacious four bedroom semi-detached three storey family home, extending to 2145 sq ft and in close proximity to schools, shops and transport links. On the ground floor, the front reception room has fantastic natural light from large bay windows; the original dining room and kitchen have been extended at the rear via a smart conservatory that has floor to ceiling glass panels spanning the entire width of the property. On the first floor are two large double bedrooms and third single/study room along with family bathroom and separate WC. The loft has been converted to provide a second family bathroom and very large double bedroom, ideal for combining with a study or games area and from which there are sweeping skylines views from the floor to ceiling double doors with Juliet balcony. There is drive parking for several vehicles at the side and rear of the property along with a double garage for additional parking or storage as well as lawn area and borders for planting in the rear garden. 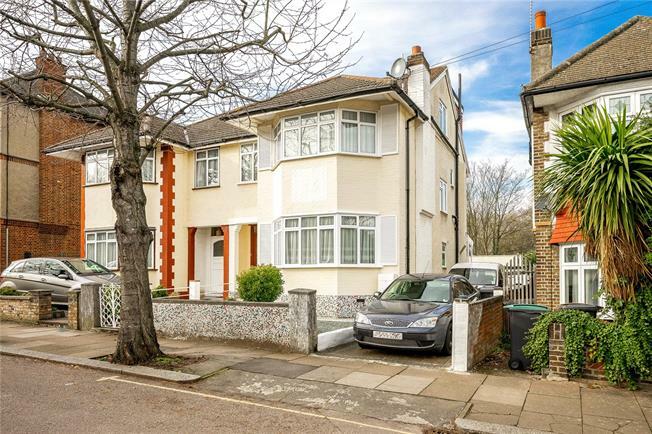 Gordon Road is in very close proximity to schools and transport; Bounds Green tube and Primary school are just 200 meters away with Bowes Park over ground just 500 meters. There are numerous local shops at the end of the road with the larger complexes within short driving distance. The open green spaces of Alexandra Palace and Park are less than a mile away whilst the nearby north circular provides swift access to the M1 and motorway network.